Where to Report Gain on a Surrender of Annuity Contract on IRS Forms? 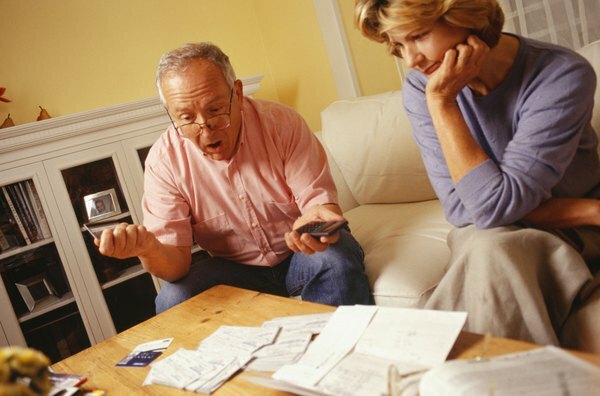 The gain from an annuity is taxed at ordinary rates, as high as 39.6 percent. Life insurance companies offer annuities as investment contracts, transferring to the insurance company the risk of the insured living longer than his money. Many annuity contracts are written as deferred annuities, so the policy owner can contribute money for a number of years before the annuity begins to pay back out. If you own an annuity, you might decide to move your money somewhere else by selling it off. While all the growth in the contract has been tax deferred, when you sell, you’ll have to recognize the growth as income. While annuities are often advertised as investments, tax laws treat them differently. Unlike securities, annuities produce ordinary income. You recover your basis, the after-tax cash you paid into the policy, tax free as when calculating capital gains. But you do not report your purchase price and sales proceeds on Schedule D; you report income from an annuity directly on Form 1040. You report income from annuities on Line 16, along with pension income. No separate schedule is provided to calculate the gain. Instead, you report the nontaxable return of after-tax investment on Line 16a and the taxable portion on Line 16b. The income contributes to your adjusted gross income and is taxable at your regular income tax rate. The insurance company that offers your annuity is responsible for keeping track of your basis. If you surrender the policy in exchange for the value it in, the insurance company is responsible for sending you Form 1099-R reporting both your taxable gain and your tax basis in the policy. Additionally, if you requested any amount withheld from the taxable proceeds, the withholdings will also appear on the form. Carry those amounts directly over to Lines 16a and 16b to report the income, and add any withholdings to Line 62. Surrendering your annuity isn’t the only way to recognize a gain from it. If you already began receiving periodic payments, you might no longer be able to surrender your policy with the company. Some businesses will pay lump sums of cash in exchange for assigning over the remaining annuity payments. Any amount you withdraw over and above your basis is reported on Line 16b, the same as if you had settled the annuity with the company directly. Will Reinstating Life Insurance Avoid Taxation? Can You Deduct the Loss on a Non-Qualified Variable Annuity?